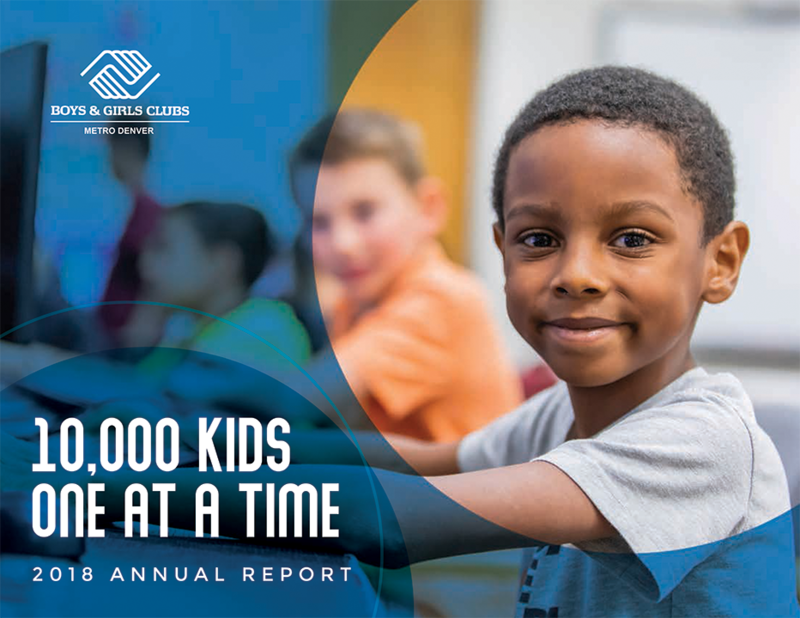 It has been an exciting year at Boys & Girls Clubs of Metro Denver and there is more excitement to come. But before we move any further ahead in 2019, I invite you to take a few moments to look back at last year and reflect on what we achieved together. Our most important goal is empowering the kids whose lives we touch. Last year, 10,000 kids came through our doors and thanks to the support of a generous community, we were there for them. Please enjoy our annual report including highlights from the past year. Get a glimpse into how your support made a difference in 2018. Whether you lend your time, share your expertise or give your resources, thank you for making our work possible.